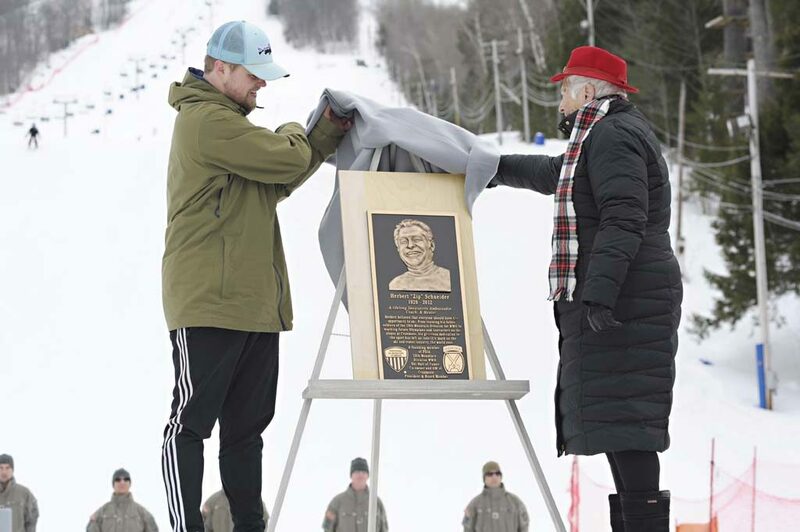 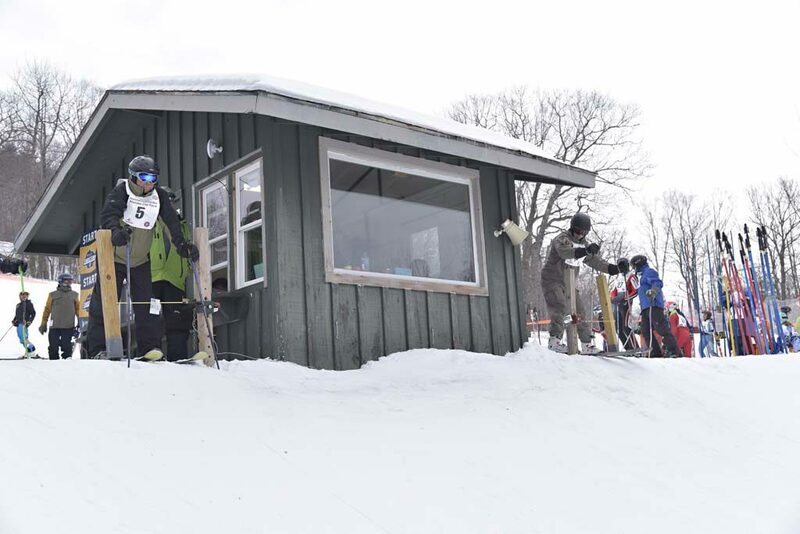 The 23rd Annual Hannes Schneider Meister Cup, March 2, 2019 at Cranmore Mountain Resort, North Conway, N.H.
Hannes Schneider and Carol Westervelt unveil a plaque honoring Herbert Schneider, to be placed at the summit of Cranmore. 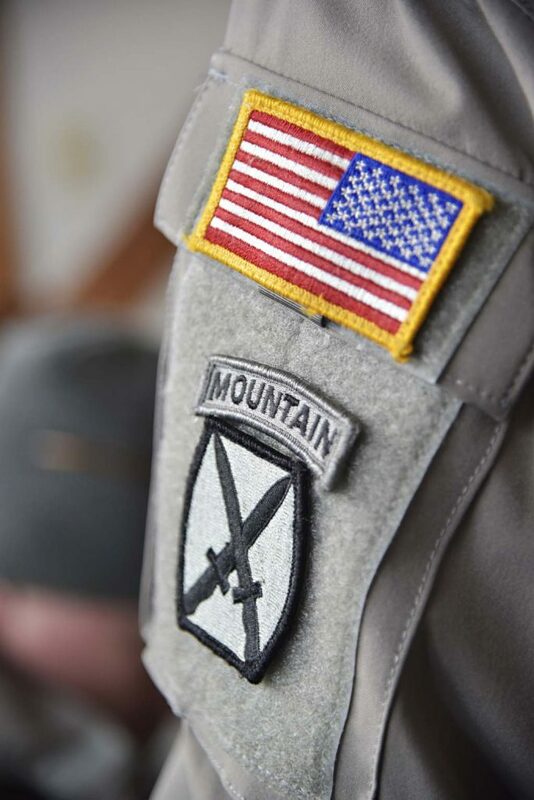 The Color Guard of the Army Mountain Warfare School posts the National and 10th Mountain division colors at the Opening Ceremony. 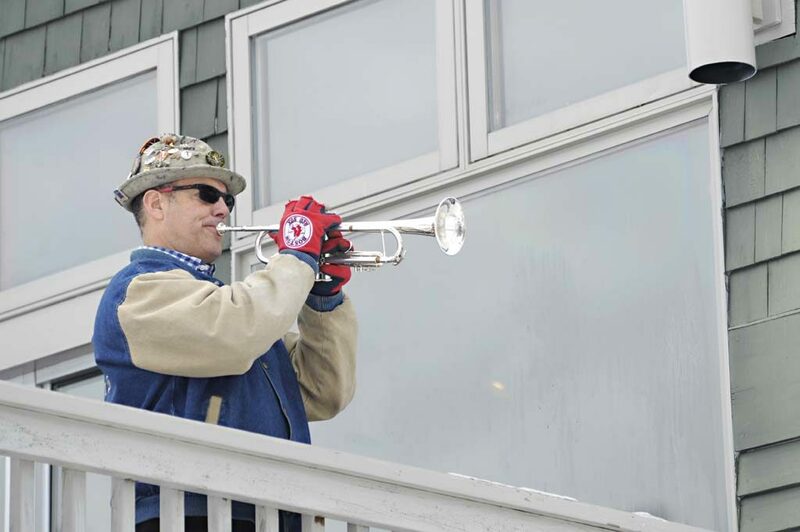 Bruce Botelho of the Bavarian Brothers Band plays Taps at the Opening Ceremony. 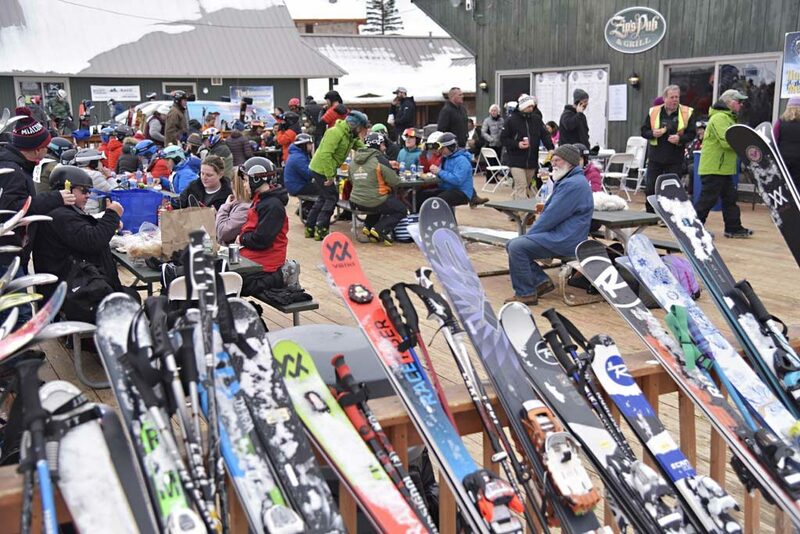 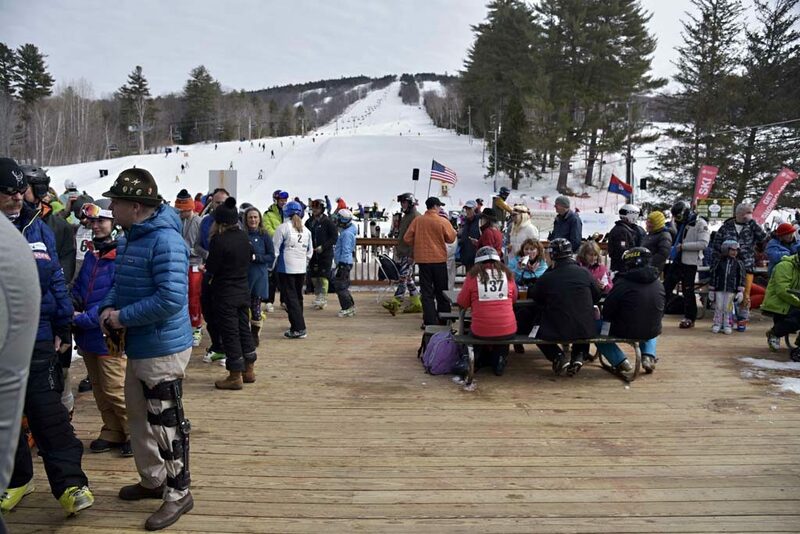 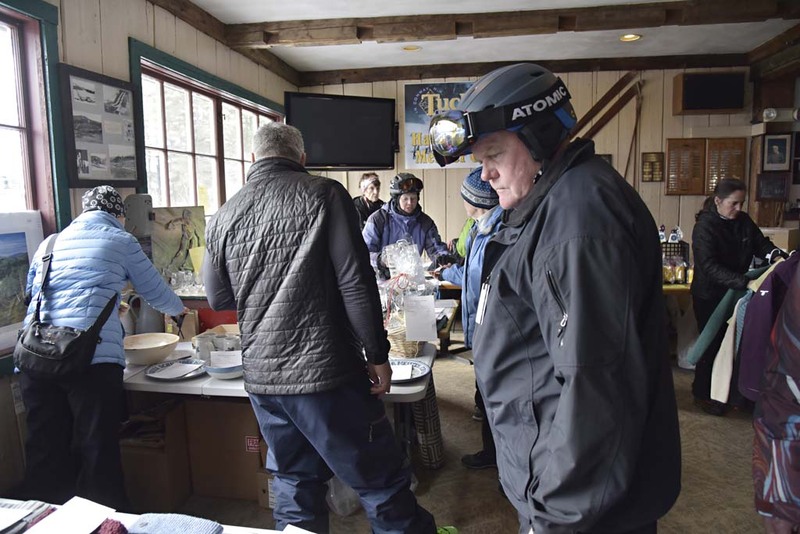 The silent auction in Zip’s Pub had clothing, equipment and gifts for skiers that kept people bidding until it closed at 2:30. The Army Mountain Warfare School had the fastest 10th Mountain team. 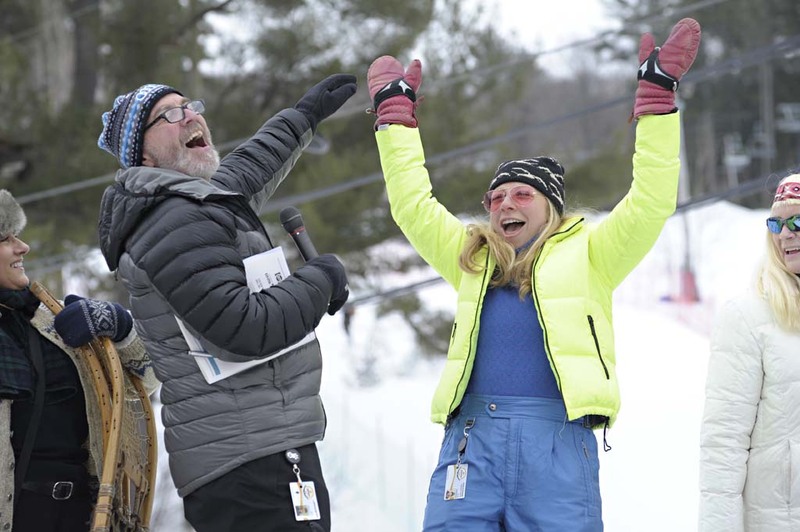 Team EMS was the first place team. 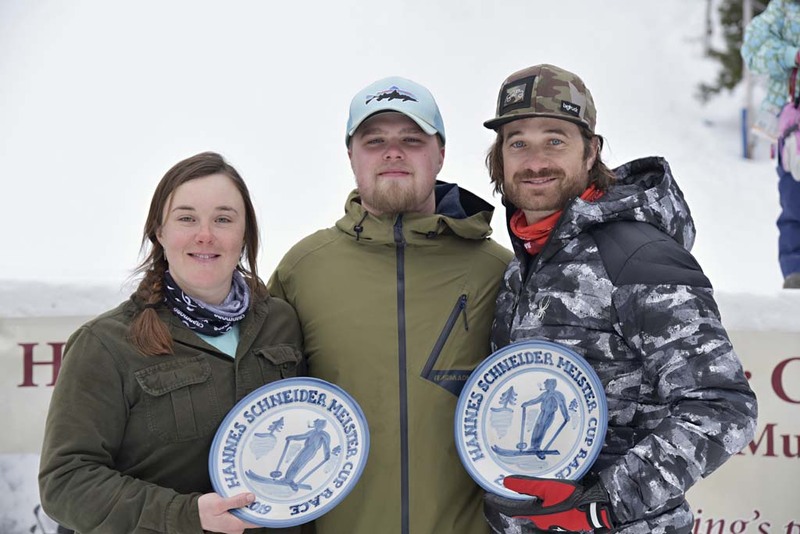 Leanne Smith and Ben Drummond were the fastest woman and fastest man on the hill in 2019. 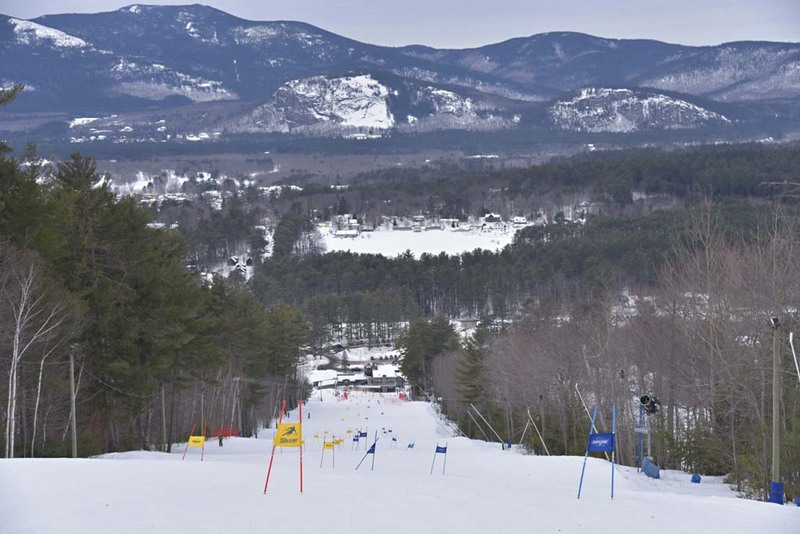 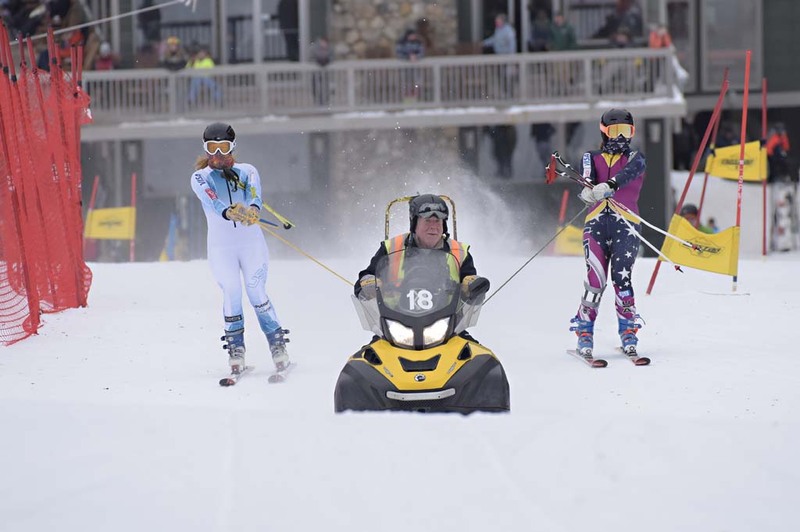 If you can turn around a few gates on intermediate terrain on alpine or telemark skis or a snowboard, you are invited to participate in the race…and win! 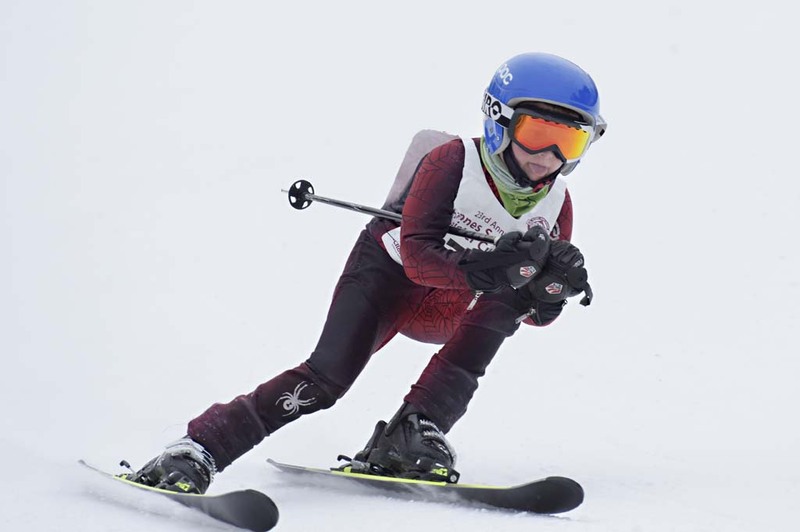 The fastest male and female finishers in ten age classes take home unique awards, as do the fastest telemark, snowboard, and junior racers. 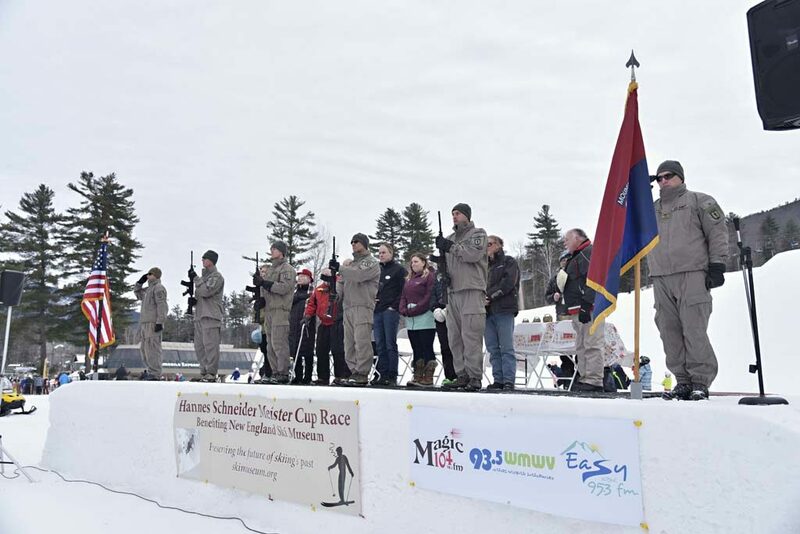 Teams of five racers compete for the Meister Cup Trophy, with winners’ names engraved on the award which is on display in the New England Ski Museum. 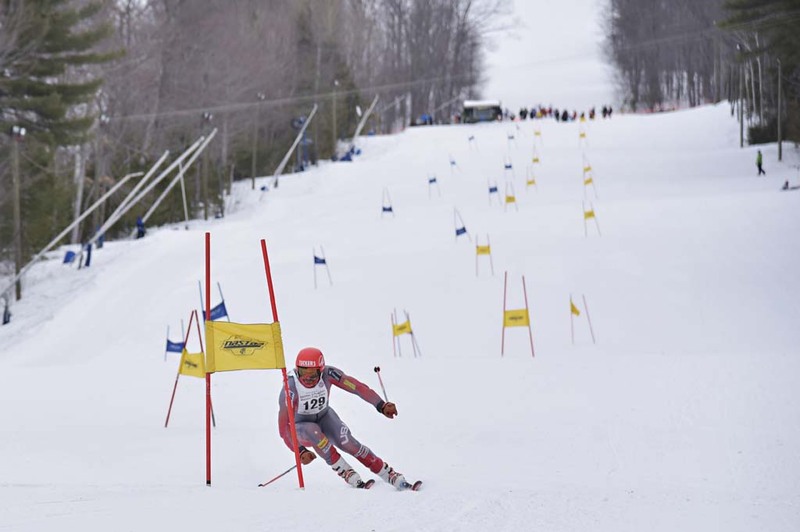 Competition is intense at the highest level, but for most racers the event is a simple fun run down a gentle racecourse on a day of slopeside pageantry and social events. 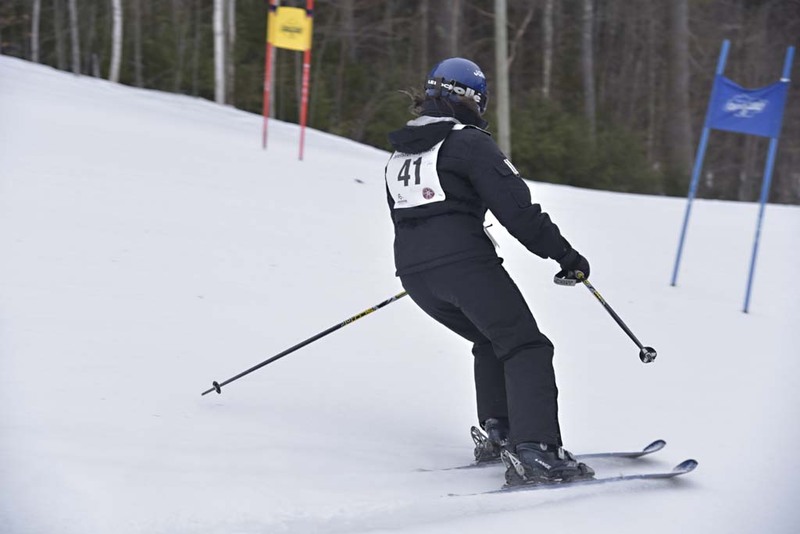 Past racers have ranged in age from 4 to 95. 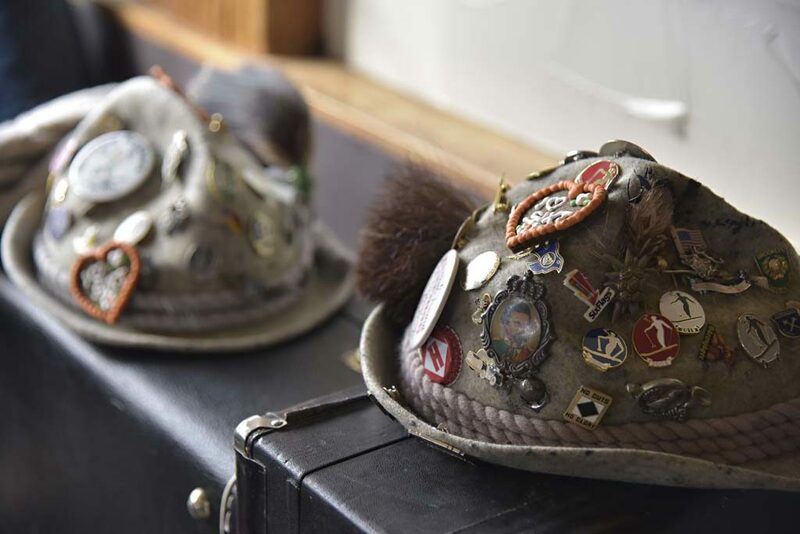 Hannes Schneider was an Austrian mountain soldier in World War I and his son Herbert Schneider was a member of the 10th Mountain Division in World War II. 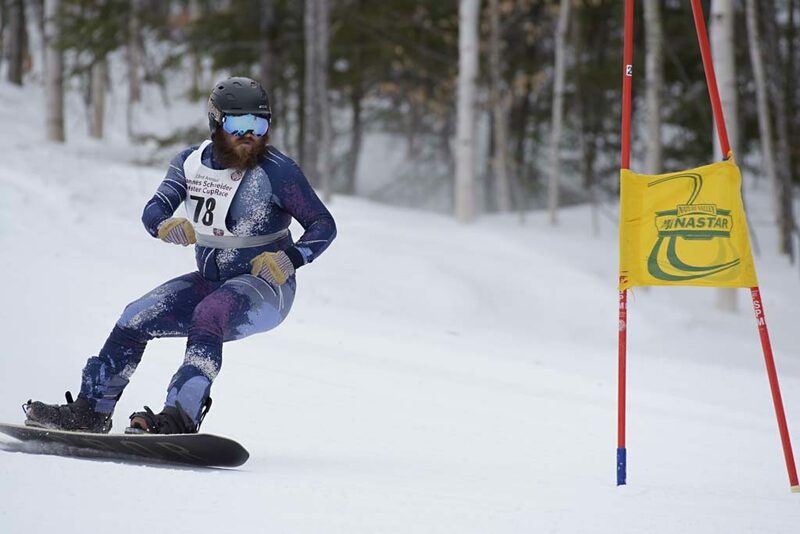 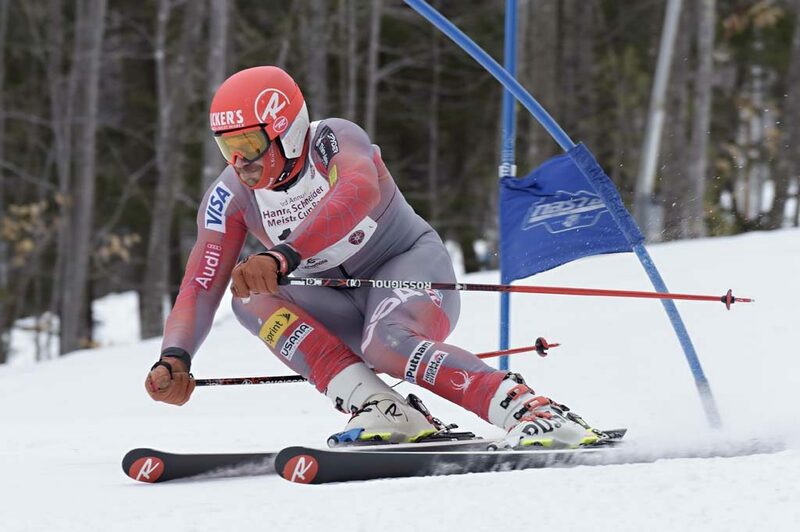 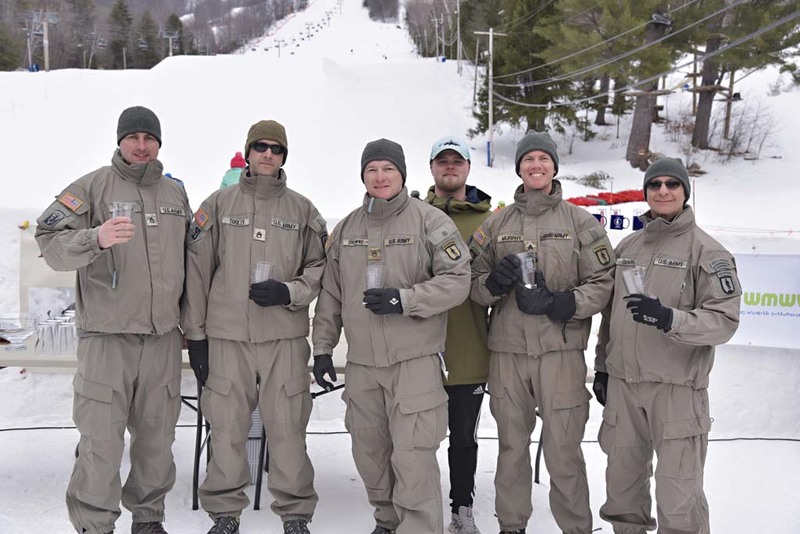 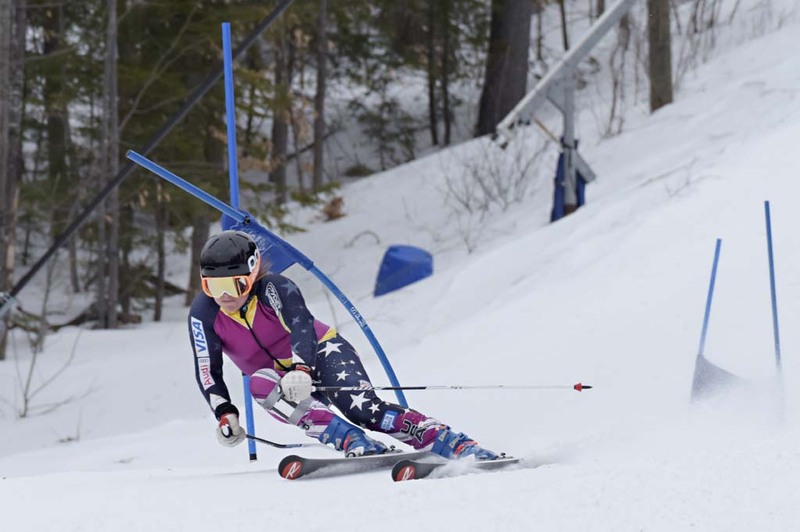 The Meister Cup pays tribute to American mountain soldiers with a special military class, in which active duty soldiers of the 10thMountain Division and the Army Mountain Warfare School usually participate. 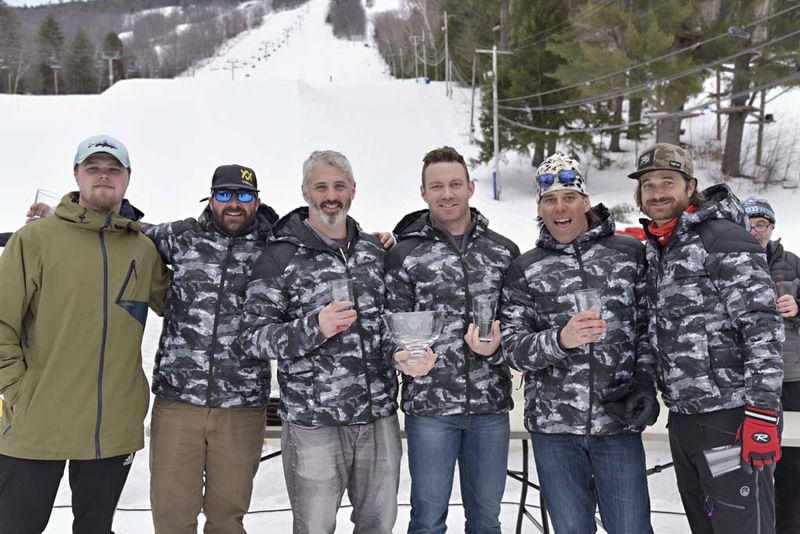 The Carroll Reed Cup, awarded to the fastest team made up of racers from the ski resort industry, honors the ski business pioneer whose early Eastern Slope Ski School provided the basis for Hannes Schneider’s arrival in 1939. 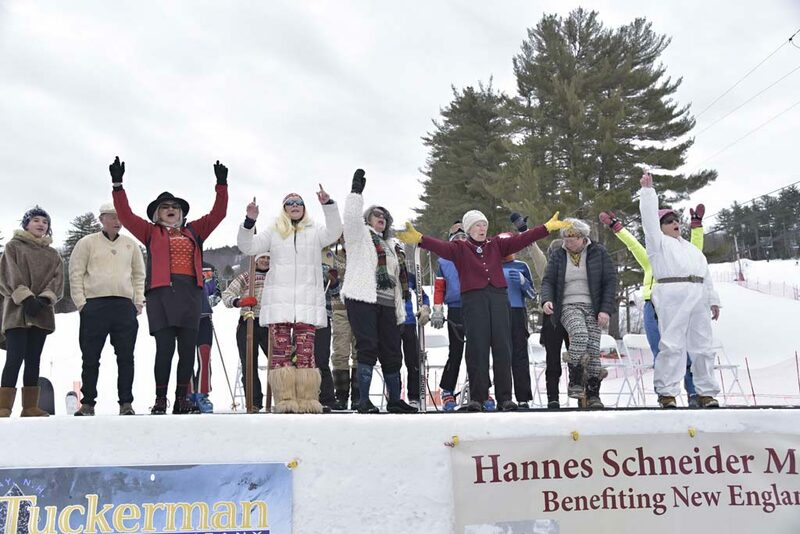 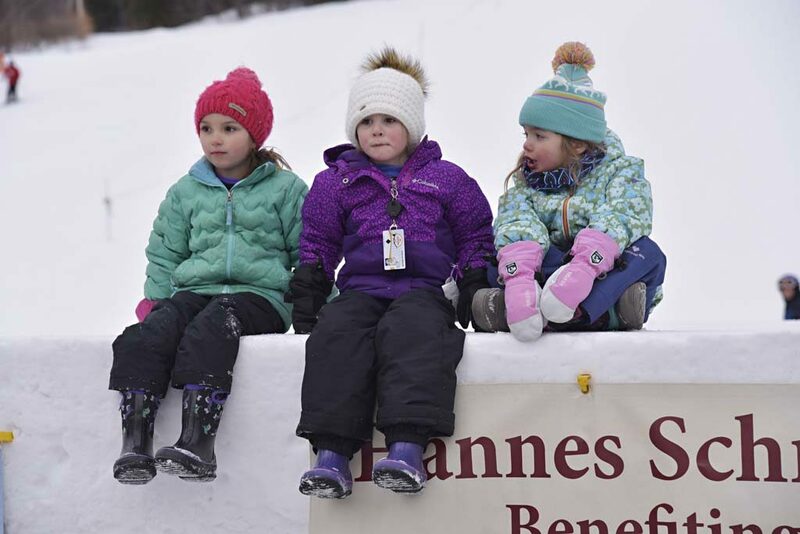 Apart from the ski race, the Hannes Schneider Meister Cup features a full slate of weekend social activities including a welcome reception and buffet, the opening ceremony, an ice carving contest, a silent auction with a variety of items for skiers, the popular wear-your-own vintage skiwear show, the awards ceremony, and a ski history presentation. Whether you race it or watch it, the Meister Cup has something for everyone.